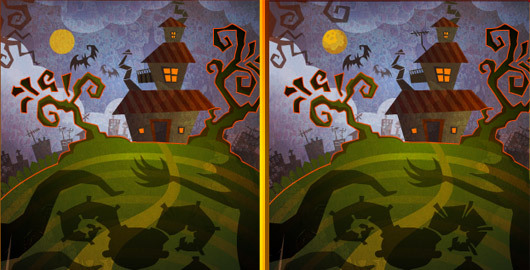 Edge Of Evil is a Spot the Differences Adventure game from Gamezhero by Denis Sokolov and Igor Sotsky. The castle has been destroyed and its up to you seek revenge. 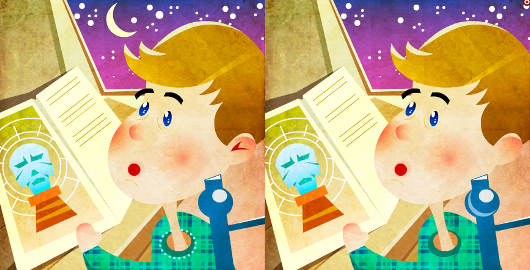 Bob’s Night Adventure is a Spot The Difference game from Gamezhero by Denis Sokolov & Igor Sotsky. 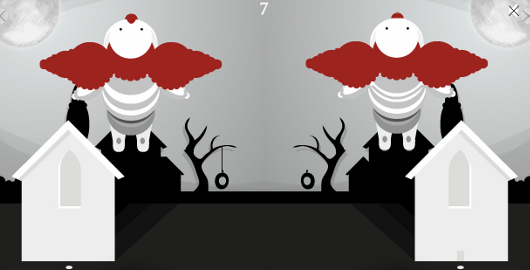 Evoke is a Spot The Differences game created by Ronnie Pence. Your looking for the differences between a mirror image. 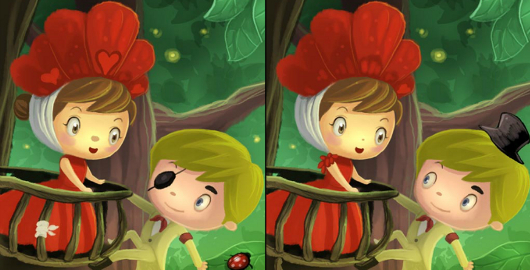 Little Romeo and Juliet is a spot the difference game produced by DifferenceGames. 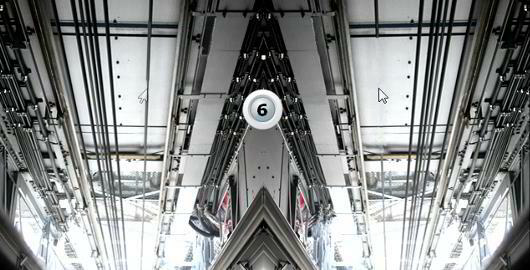 Errors of Reflection – Innercity Life , from Thomas Shulz and Tobias Folprecht, is the most challenging spot the difference game I have ever played. Your not looking at the same picture on each side. Your looking at a mirror image! This is a large file so it will take some time to load. Fear not! In Terrific Halloween, all you have to do is spot the differences between them! 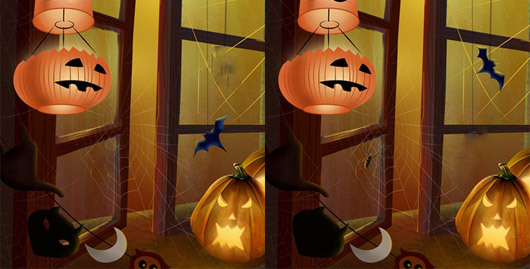 Find the 5 differences between the two pictures in Halloween – 5 Differences, a nicely done Spot the Differences game. Moonlight is a gorgeous Spot the Differences game where you follow a lone young soldier as he discovers a secret in a moonlit forest. Stephanie Herrera‘s beautiful artwork (Dreams) strikes again! Four years after the release of A Very Simple Game, Rahul Anand has finally made a sequel! In A Very Simple Game, your job was to spot the hidden dot. 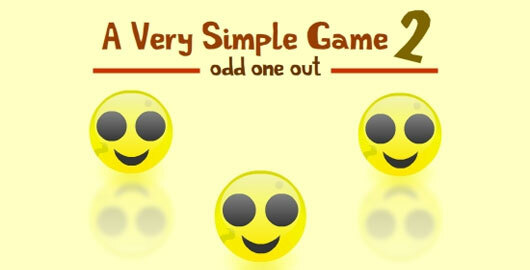 In A Very Simple Game 2, your job is simply to spot the odd smiley to advance to the next level. Join Emma in the companion adventure to Liliths’s Valentines day. Emma is preparing a tasty treat for her friend Lilith. Will the present arrive intact? 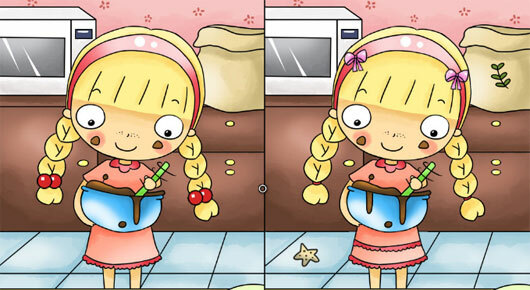 Make up a story as you play through this spot the differences game. Happy Valentine’s Day! Join Lilith in the companion adventure to Emma’s Valentines day. Lilith has a great present for her friend Emma. Will she be able to get it to her in time? Emma – A Friend at Hallows Eve is the sister title of Lilith – A Friend at Hallows Eve. This Spot the Differences game illustrated by Anggraini Lukito features 12 different scenes with beautiful color illustrations. The game changes every time you play. Have fun! 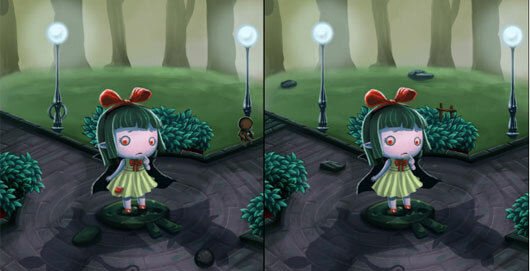 Lilith – A Friend at Hallows Eve is a nice looking Spot the Differences game illustrated by Ecky Oesjady. The game features 12 different scenes with beautiful color illustrations. Each scene changes every time you play. Act quick to get extra points! Have fun! 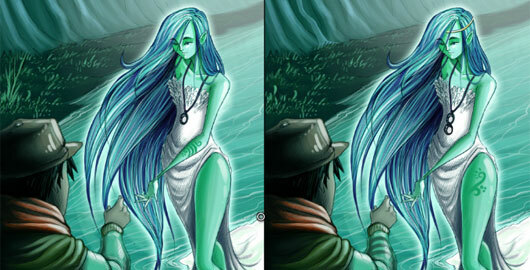 Search for Wondla is another very nice looking Spot the Differences game based on the novel by Tony DiTerlizzi. 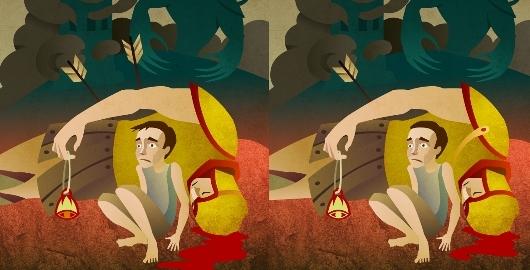 Search for Wondla features 28 different scenes with beautiful two-color illustrations. The game changes every time you play. Have fun! Museum of Thieves is another well crafted Spot the Differences game, based on Lian Tanner’s eponymous book. The game is “about a museum unlike any other. Only the cunning mind of a thief can understand it’s strange, shifting rooms – and it can be very dangerous if it gets upset.” Have fun! Twisted Fairytales: Robin Hood is another very nice looking Spot the differences game from Difference Games where you have to find at least five out of ten differences between the two images to proceed to the next page in the story book. This one features four different endings! Have fun! 5 Similarities is a challenging Spot the difference game with a twist: your goal here is to identify the 5 matches between two completely different pictures. To spice things up, you have a limited time to spot the similarities. Not as easy as it sounds! Have fun!